All templates in this collection are built into ROES for easy ordering, or can be downloaded below for use in Photoshop when creating your own designs. Use these templates when creating your own unique designs for the cameo windows on the Ventura Album covers. They include the bleed and “safe area” zones, along with instructions. For assistance, please contact Customer Service. Product guide templates are outlines of the product with the item’s printable area and bleed information. 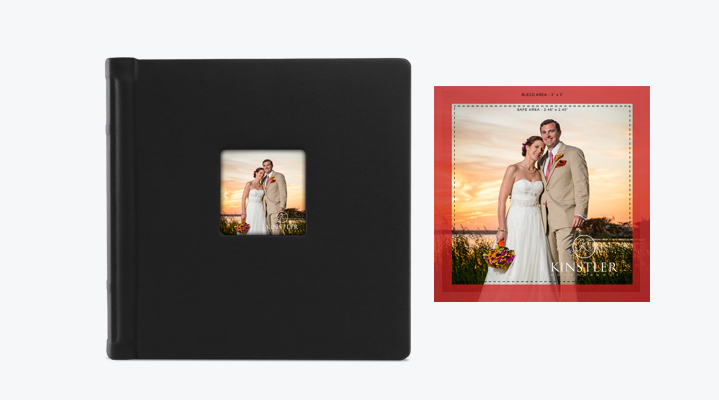 Use these to ensure that your images and designs are sized correctly before ordering.